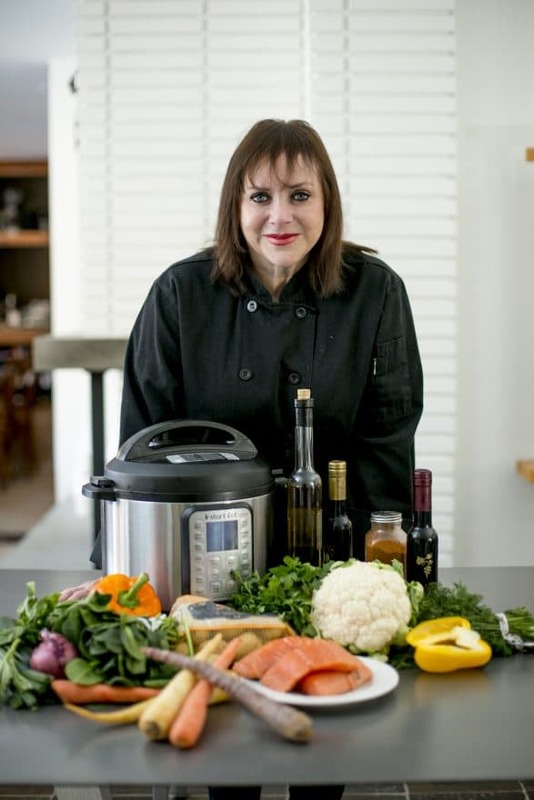 Food columnist Annabel Cohen is a fan of her Instant Pot, and shares her go-to recipes to help you “let the steam” out of your Instant Pot fears. I am a pothead. But not the kind you may think. In this case, I’m addicted to my Instant Pot. But, like many people, it took a little time before the love affair with my Instant Pot set in. First, I am cynical when it comes to new kitchen gadgets; so many are just next year’s garage sale items. And then, pressure cookers always scared me. To me, they were stove bombs. In fact, it’s not uncommon to use conventional pressure cookers to build IEDs (improvised explosive devices). The same pressure you use to cook is the same that makes these bombs so dangerous. Just too much pressure for me — until recently. When I dined at Elizabeth’s house, she used an Instant Pot to prepare dinner. 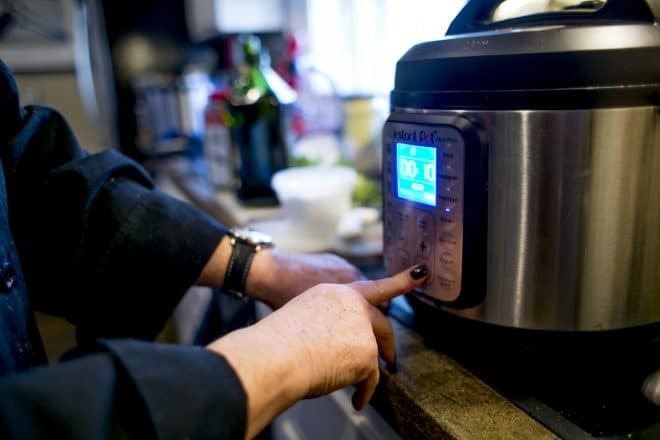 She extolled the virtues of the Instant Pot (an appliance then unknown to me), with its computer controls and twist-off lid. An obsession was born. Now I “Instant Pot” (a verb I use) a lot for work and personally because it’s so fast and easy. I have three Instant Pots and, with so many accessories out there, ever-increasing possibilities abound. I still own three slow cookers I seldom ever use because I find them to be too much work (rarely just “set it and forget it”) and too slow. A slow-cooker cooks low and gently for many hours, and mostly with added liquid. The liner is usually ceramic, so you can’t place it on the stove to pre-brown food. And, if you are afraid to leave the house with an appliance on, you have to stay home all day. An Instant Pot is a “multi-cooker.” It has many functions (including slow cooking). The handy buttons on the front let you pick how you want to cook (soup, stew, bake, steam, etc.). You can saute or brown foods in the same pot you use to cook, so it truly is one-pot cooking. And because the pot itself is removable, you can take it out of the machine and chill just the pot (not the entire machine). So, set aside any fears and get started. Here are some of my go-to Instant Pot recipes. Pour the oil into the pot. Add the potatoes and saute until the cut sides are mostly golden. Season to taste with salt and pepper. Sprinkle the garlic over. Place the Instant Pot rack in the pot, resting on the potatoes. Place the spinach on top of the rack. Arrange the salmon pieces, skin side down over the spinach. Season well with salt and pepper and pour the lemon juice over. Close and lock the lid. Press the manual or pressure cook setting and then the “-” (minus) button until 25 minutes is displayed (it takes some time for the machine to heat up). When finished, carefully turn the steam valve to the venting position to release the pressure. 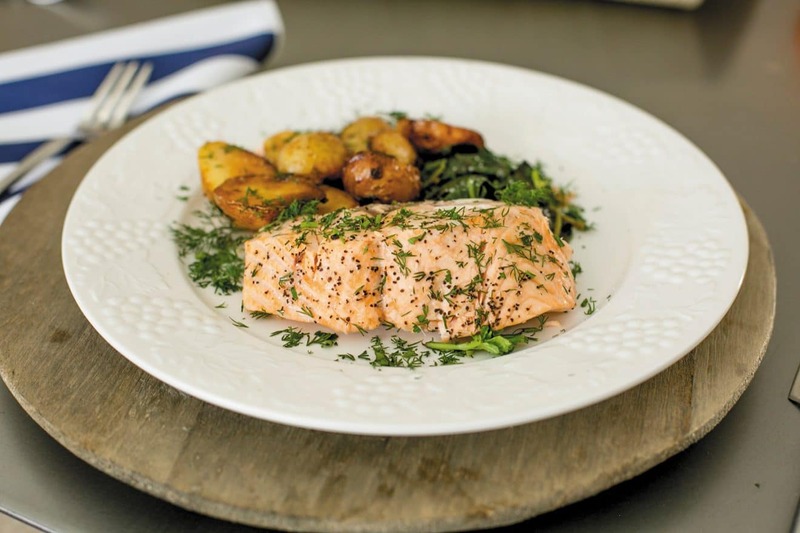 Serve the salmon with spinach and potatoes. Adjust seasonings to taste and serve with the dill and/or parsley sprinkled over the top. Makes 4 servings. Turn the Instant Pot to the saute setting. Add the oil, onions and celery and cook, stirring occasionally until the onions are softened but not browned, about 3 minutes. Add carrots, parsnips, garlic, salt, pepper, parsley and dill. Add the chicken pieces and enough water to cover the ingredients and to 2 inches from the top of pot. Close and lock the lid. Set the Instant Pot to the soup setting which usually cooks for about 30 minutes. Turn the pot off (cancel) and allow the soup to cool enough to unlock the lid. Remove the chicken from the pot to a dish to cool. Use a sieve or a cheesecloth-lined colander to strain the broth into another vessel. Do not return the vegetables to the soup. Shred or chop some of the chicken and return it to the soup. 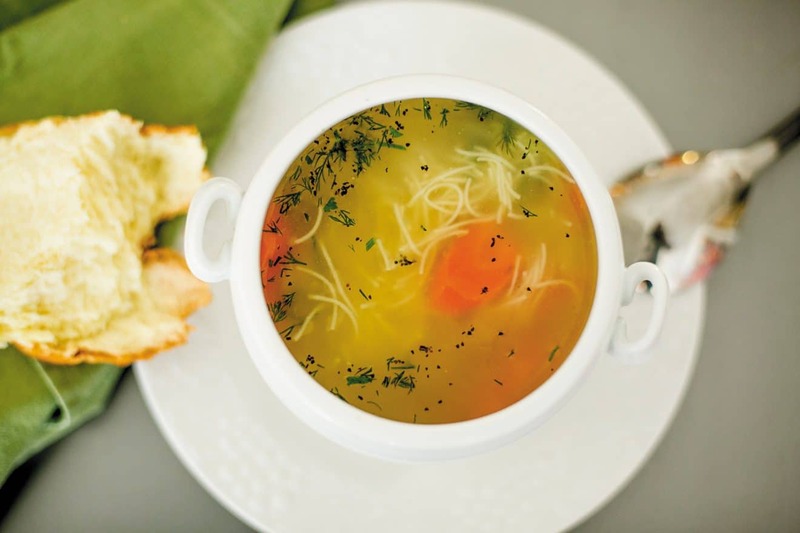 Taste the soup and adjust salt to taste. NOTE: If you like your soup richer, cook the broth until reduced somewhat. Float fresh parsley in the soup before serving. Makes 8-12 servings. Turn the Instant Pot to the saute setting. Add the oil and onions and cook until softened but not browned. Arrange the breasts on top of the onions. Add the remaining ingredients (do not stir). Season the breasts well with salt and pepper. Turn Instant Pot to manual or pressure cook function and press high pressure. Cook 20 minutes (10 minutes of that is heating time). Once done, release pressure. Taste the sauce and adjust seasonings to taste. 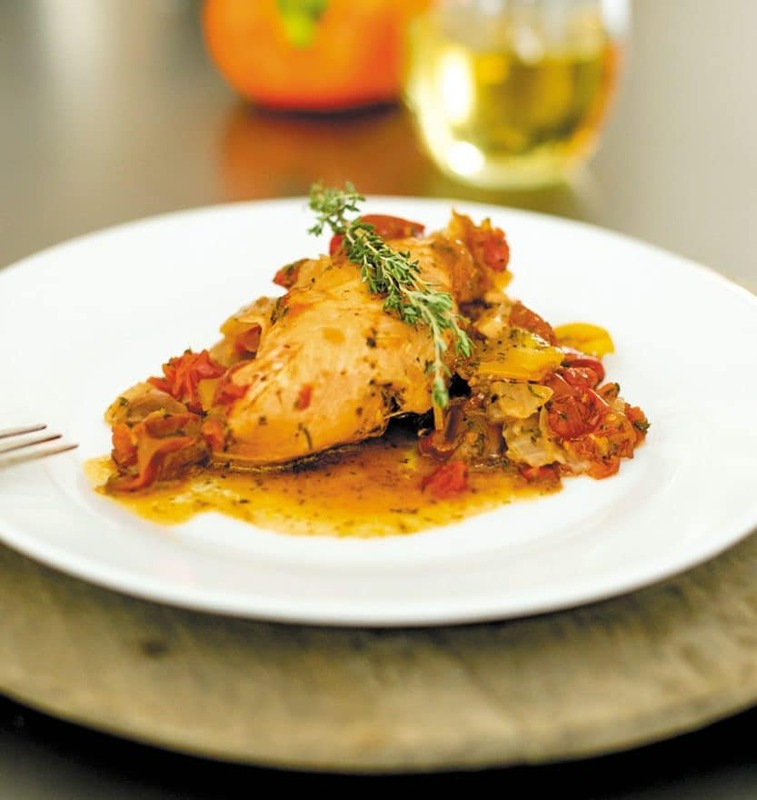 Serve the chicken with the sauce spooned over and garnished with fresh parsley. Makes 6 servings. Use saute setting. Add oil and onions, cook until onions are softened but not browned. Add remaining ingredients and stir to combine. Turn Instant Pot to stew. Secure the lid and press the stew setting. After about 20 minutes, press cancel. Release pressure manually. Once all pressure has released, open and stir in basil, parsley, capers and vinegar. Adjust salt and pepper to taste. Makes 6 servings. “Tzimmes” mean a “big deal.” Maybe this dish is called this because of all the ingredients. This one cooks in minutes in the Instant Pot, which makes it no big deal. Add all ingredients into the Instant Pot. Close and lock the lid. Press the “Manual” or “Pressure Cook” setting and then the “-” (minus) button until 20 minutes is displayed (it takes some time for the machine to heat up). Turn the pot off (cancel) and allow the pot to cool enough to unlock the lid to remove it. Adjust the seasonings to taste. Transfer to a serving dish (or keep warm in a covered baking dish in the oven). Makes 8 -12 servings. Place all ingredients into the Instant Pot in the order listed. Close and lock the lid. Press the “stew” button. When time is up, turn the pot off (cancel) and allow the pot to cool enough to unlock the lid to remove it. Remove the chicken to a dish and set aside. Adjust the sauce seasonings to taste in the pot. Add the butter, cream and cilantro to the sauce. Blend together all the ingredients with an immersion blender or in a blender or food processor until uniform. Add the chicken back to the pot and keep warm until ready to serve. 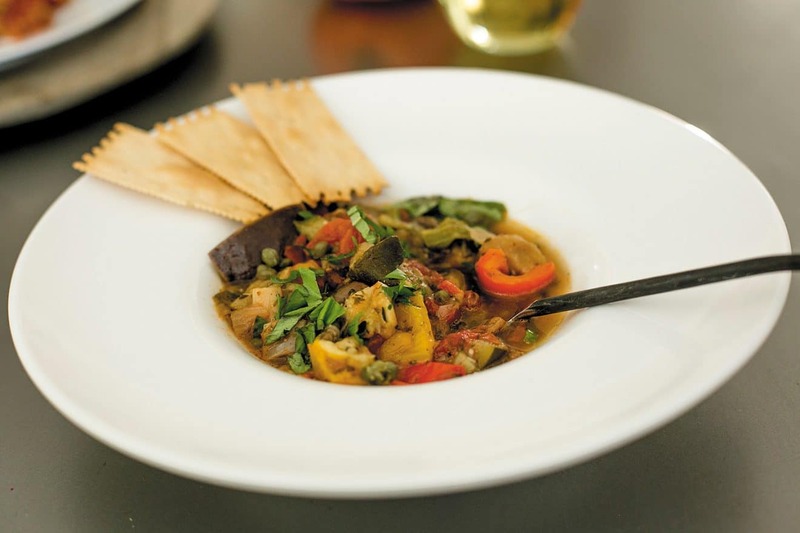 Serve with cooked basmati or jasmine rice and more cilantro, if desired. Makes 8 servings. Place the rack (that comes with the Instant Pot) into the pot. Place the whole head of cauliflower on the rack. Season with salt, pepper, za’atar, cumin and garlic. Arrange the chickpeas, figs and raisins around the cauliflower. Pour the wine over. Turn Instant Pot to manual or pressure cook and press high pressure. Cook 20 minutes (10 minutes of that is heating time). Allow to cool or release the steam (vent) manually. Use tongs to remove the cauliflower to a serving dish. Use a fork to mash the cauliflower with 2 Tbsp. olive oil. Season to taste with more salt and pepper. Transfer to a serving dish. Use the tongs to remove the remaining ingredients (do not take any accumulated liquid at the bottom of the pot) and arrange around the cauliflower. 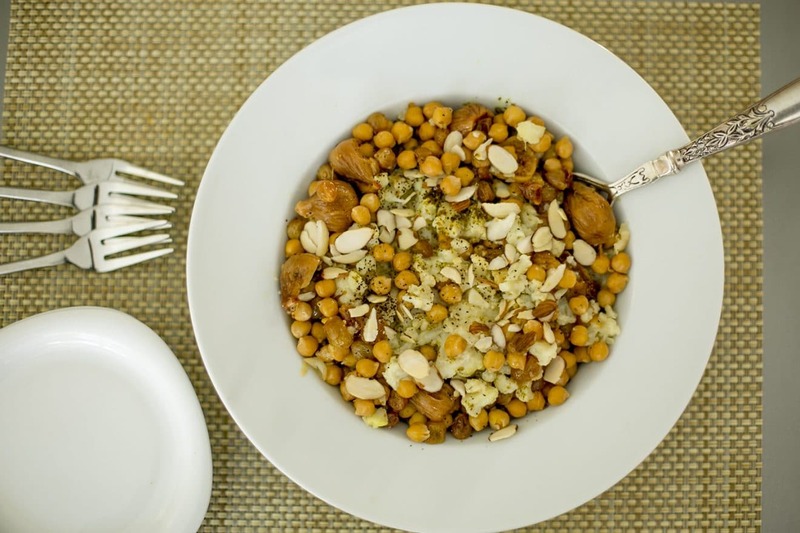 Sprinkle the almonds over and drizzle olive oil over before serving (serve hot or warm). Makes 6 servings. Take the pressure off using your Instant Pot. 1. It will explode. If don’t put the top on correctly, will I have a disaster? The machine will not explode. Ever. Plus, the machine will not turn on unless the lid is sealed correctly. And, because it’s controlled cooking, the pressure will never be enough to send the lid into the air or your face or anywhere else. 2. What if I fill the pot too much or too little? The pots come in different sizes (my three are all 6 quarts — enough to make dinner for 6 or soup/stew for more). It’s best to fill about two-thirds full. 3. I will burn myself if I open the lid while the pot is hot. It is virtually impossible to open the lid of the pot if it is under pressure. That means either you wait until the machine is cool enough to open (about 10-15 minutes) or you manually release the pressure by opening the vent and releasing the steam (quick release, with a little turn of the lid valve). NOTE: I place a dish towel over the vent when I release the pressure to keep the steam from filling the room. 4. The food will be tough or overcooked or mushy. Since the steam (liquid) never goes away, everything truly remains moist. You can overcook ingredients like vegetables and pasta, which take mere minutes to go from fresh to mush, so always err on the side of less cooking. If you want to cook foods less, press cancel, release the steam and check. You can always cook more but not less. When the food is cooked, the Instant Pot will turn to an automatic warm setting. 5. What if I forget to add an ingredient before closing the lid and turning it on? No problem! Even if the lid is closed and the machine is on, until it reaches a certain temperature (takes 5-10 minutes), you can open the lid and add the ingredient. NOTE: Following recipes that give cooking times don’t always account for heating time. So once the pot is hot, cook times start there. It’s easy; don’t fret. Saw you on Fox 2 news this morning. I just got one of these pots and my first meal was a mess. Thanks for the recipes, ill try them for Easter. I just wanted to make sure the time is correct for your “Salmon with Spinach and Potatoes” recipe. 25 minutes on High pressure seems so long for the spinach and salmon. They usually cook so quickly! Looking for a quick response! Thanks! 25 minutes is correct; it takes time to cook the potatoes. Hope that helps!